The Nile Valley has been the lifeline of Egypt for thousands of years. Emperors and dynasties throughout the centuries ruled vast lands and built astonishing temples. The main cities of the Nile River Valley are Luxor and Aswan. 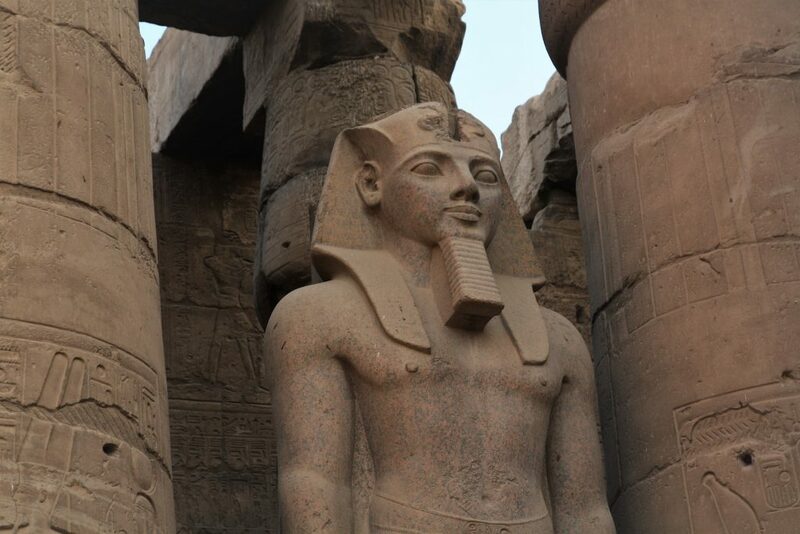 Luxor is the main draw to the region, with the most well-preserved temples in the world. Typically when we visit massive temple complexes or ruins, we get sick of them after an hour or two. This was no the case in Egypt. It was amazing to see how each temple is so different and special. 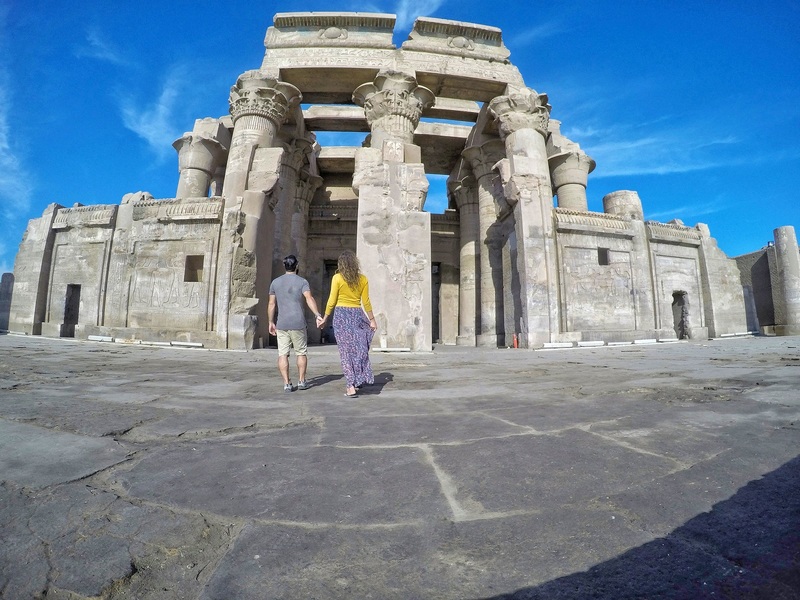 Luxor and Aswan Temples were our favorite part of Egypt and one of the highlights in all of our travels, ever. The Nile River Valley is easily accessible from Cairo. We preferred the train which was fast and comfortable. Fly: Luxor has an international airport. 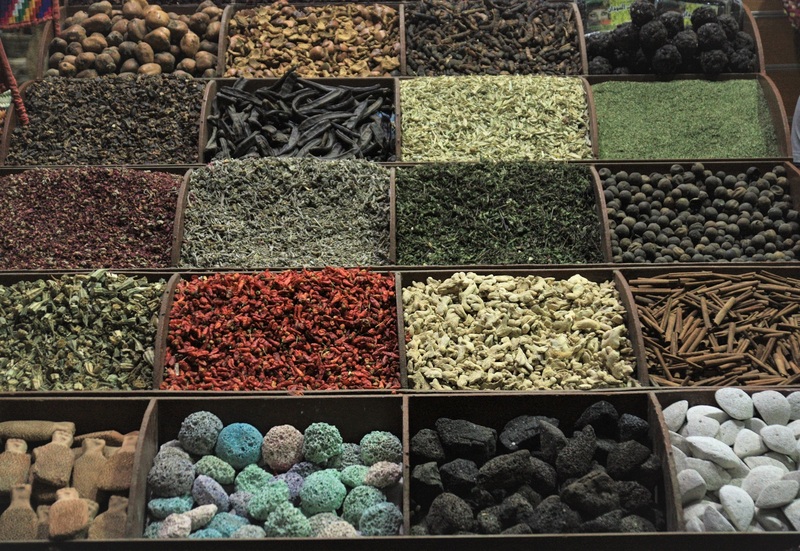 Prices vary, cost from Cairo is around $90 USD. Train: There are many trains that go from Cairo to Luxor/Aswan. Trains get full, especially on weekends. We recommend booking a ticket a few days earlier at the station. The tellers may give you a hard time about taking the local train. Just keep asking different tellers until one of them sells you the ticket. There are overnight trains that leave around 10 PM and arrive to Luxor at 7 AM. Tickets cost between 70 and 130 E£. 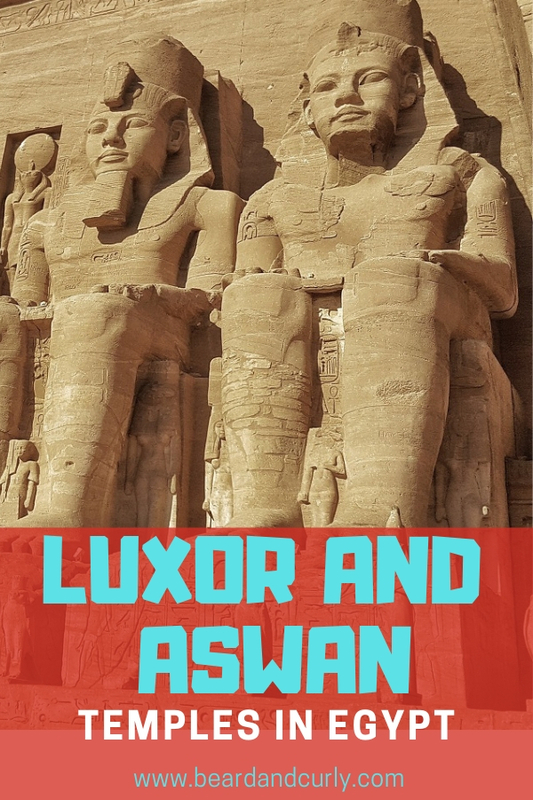 Trains between Luxor and Aswan leave several times a day and cost between 20 and 60 E£. Tourist Train: There is an expensive overnight tourist train to the Nile Valley. The cost is $120 per person. We personally didn’t take this train. Bus: A few bus companies leave from central Cairo. The cost is comparable to the train, around 120 E£. Our friend took the bus and said it was pretty miserable. Tourist seasons is busiest between mid-December and mid-January. The best time to visit the Nile River Valley is during the winter in November and February. Summer temperatures reach over 90 degrees. Exploring the temples is difficult under the hot Egyptian sun. Luxor’s massive amount of temples and tombs date back 3,000 to 5,000 years old. This city for several millennia represented Egypt’s wealth, political importance, and leadership in architecture, sciences, and the arts. Luxor is split by the Nile River. Luxor’s East bank houses the train station and most hotels. Aside from the Luxor Temple and Karnak Temple, all the other sites are located on the West Bank. To access the West Bank from the East Bank, a public ferry behind Luxor Temple departs every 10 to 15 minutes for 1 E£. 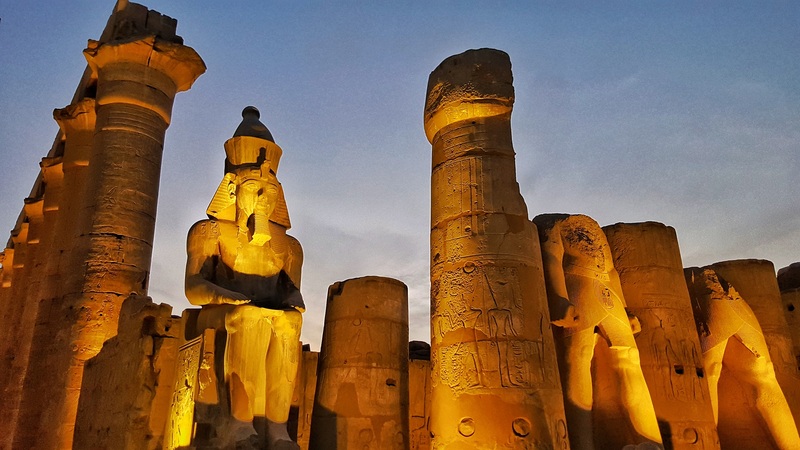 The Luxor Temple, built between 1250 and 1400 BC, is in the heart of the city. 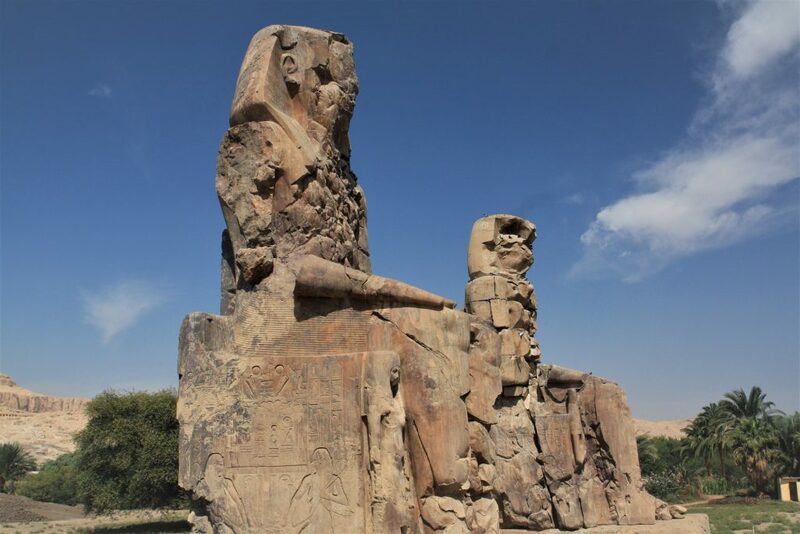 The temple was built for gatherings and celebrations and was once connected to the Temple of Karnak by a three-kilometer avenue of sphinxes . A great time to visit is late in the afternoon and to stay for sunset to watch the night unfold as the temple lights up. Cost: Entry tickets are 60 E£ and 30 E£ for students. This huge complex is the second largest temple complex in the world. With over 2 square kilometers of ruins, some of which are still being excavated, this is a wonderful archaeological site. 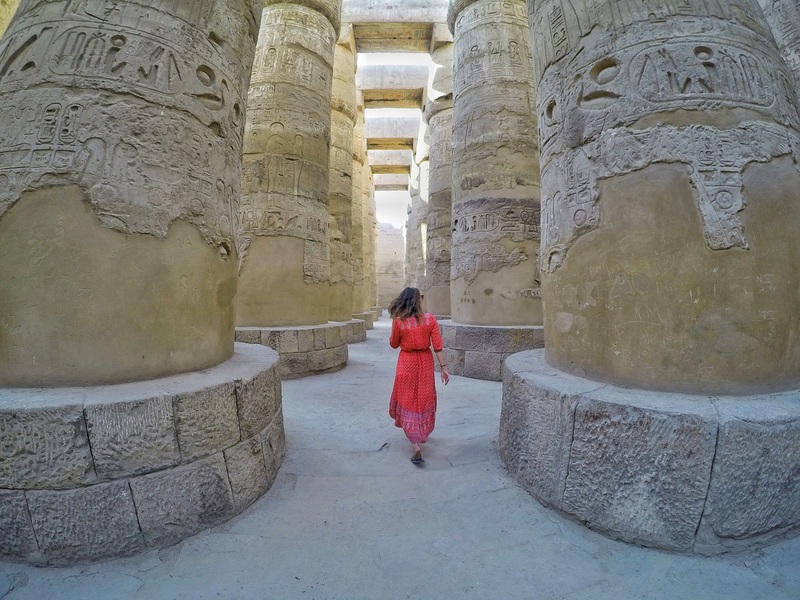 The complex houses huge statues, stunning courtyards, the world’s largest hypostyle hall, and the tallest obelisk in Egypt. Many large tour groups go to Valley of the Kings in the morning on the west bank, then travel to the Temple of Karnak in the afternoon. Come in the morning before the crowds and enjoy the best of the East Bank. Cost: Entry tickets are 65 E£ and 40 E£ for students. NOTE: Other sites in the east bank are the Luxor Museum (E£ 100 / 50 students) and the Mummification Museum (E£ 60 / 30 students). Visiting the West Bank in Luxor is incredible. There are over a dozen temples to explore. 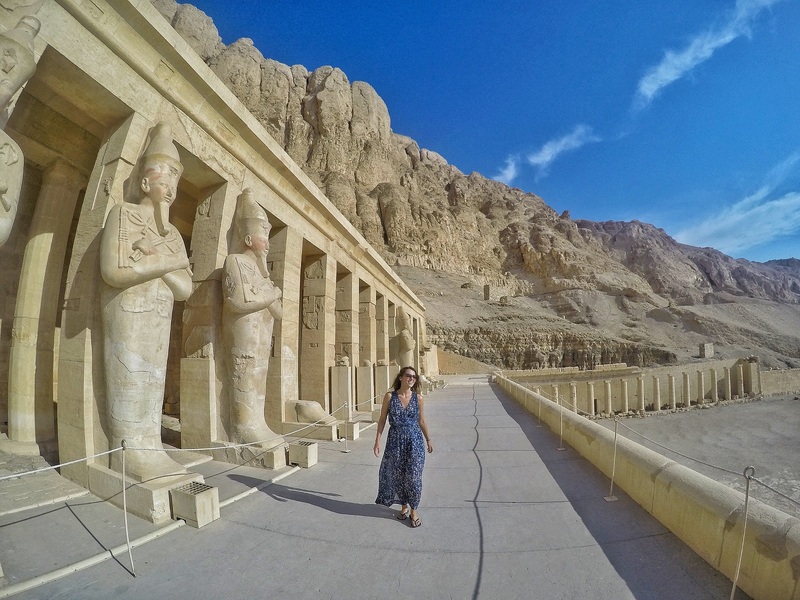 The Valley of the Kings is unlike any other tombs in the world. Expect to visit at most 4 to 5 temples/sites in one day. The ticket office for most sites in the west bank is 3 km from the ferry next to the Temple of Medinat Habu at the office of the Antiquities Inspectorate. Medinat Habu and the Colossi of Memnon are both walking distance from the office. These are good sites to start or to finish the day. The Valley of the Kings and Hatshepsut Temple tickets must be purchased on site. It is possible to take an air-conditioned tour bus to visit the top 4 sites in the West Bank. Tours are offered from Boomerang Hostel for 50 E£ per person. We wanted to have some autonomy over the sites we saw. We took the local ferry from east to west bank for 1 E£. Then took a local microbus to the ticket office for 1 E£. From there we negotiated for a taxi driver to take us to the temples we wanted to see for 70 E£. This way we were able to avoid the crowds and have some of the temples to ourselves. The most famous sight in Luxor, the Valley of the Kings, is a must-see when visiting Egypt. This complex is not a temple, but tombs of royalty and many other elitists built along the mountainside. 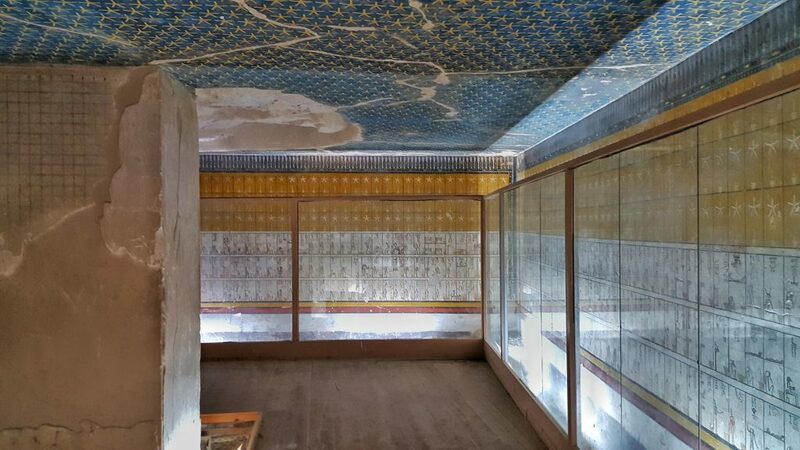 The tombs are dug incredibly deep, often with several rooms and the beautifully preserved drawings and artwork. Ticket entry includes access to three tombs, but nearly half are closed at a time. Ask which tombs are open when purchasing tickets. Additional tickets are required for entry to Rameses 6, West Valley Tomb, and Tut Ankhamon tombs. Cost: Entry tickets are 100 E£ and 50 E£ for students for entry to 3 tombs. Three tombs cost extra; Rameses 6, (50/30), Tut Ankhamon (100/50) and the West Valley Tomb (30/15). 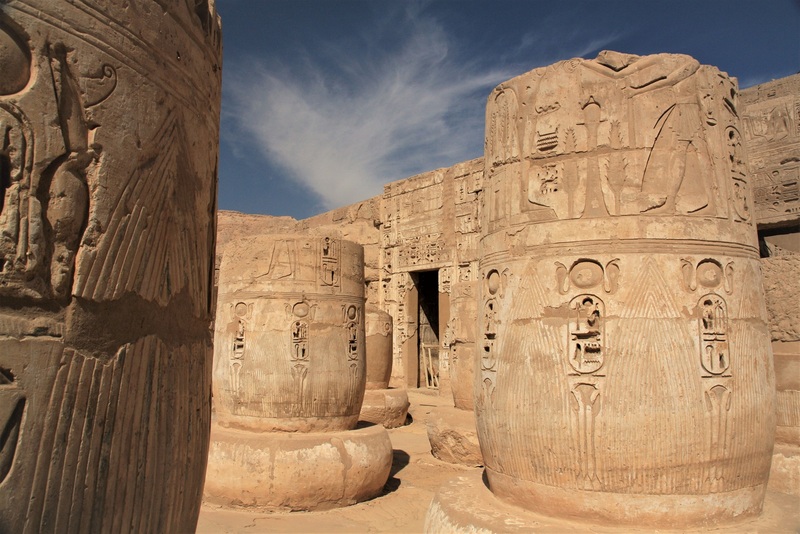 One of the best-preserved temples in Luxor, Hatshepsut is also the most unusual. This temple looks very modern in design compared to other sites. The colonnades and grand entry are very impressive. The temple is set beneath the dramatic limestone cliffs with incredible views. Cost: Entry tickets are 50 E£ and 25 E£ for students. The tram cost 2 pounds each way. 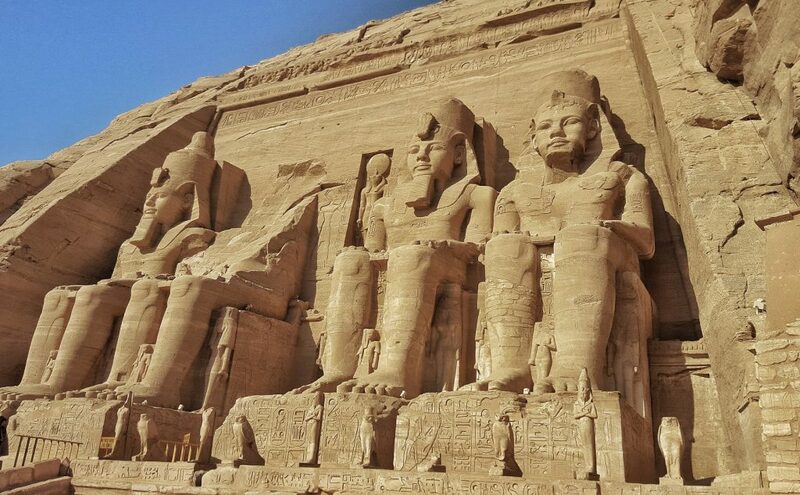 Built by Rameses 2, this memorial temple was at one time a beautiful and significant complex. Today, aside from the renovated sections, this temple lies mostly still in ruins. Cost: Entry tickets are 40 E£ and 20 E£ for students. This magnificent temple built by Rameses 3 is not as popular as some of the other sites. However, this was our personal favorite. Medinat Habu is one of the most picturesque in Luxor. These two faceless colossi are enormous and are the first sites when entering the west bank. The funerary temple lays in ruins mostly underground and is slowly being excavated. Until that is complete, this free stop is great for a picture. Note: Other sites on the West Bank include the Temple of Seti 1, the Tombs of the Nobles, and the Valley of the Queens. 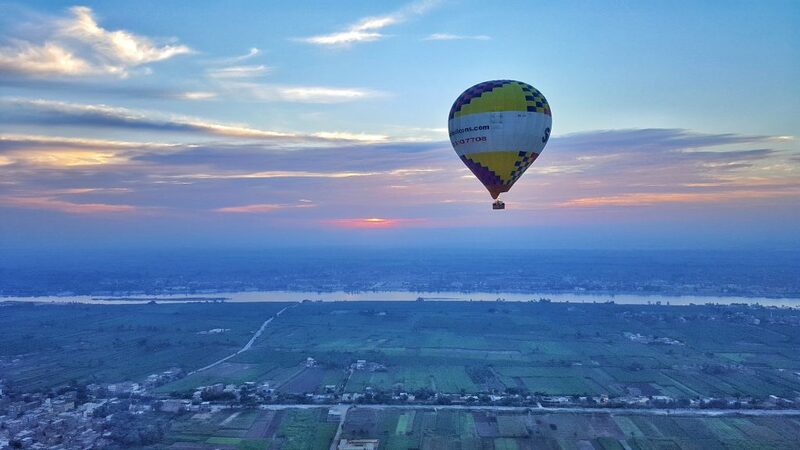 The sunrise hot air balloon ride over the west bank with views of the temples, sugarcane fields, and the Nile River is incredible. The views are stunning and for the cost, this is a no-brainer. Where else in the world does a hot air balloon ride cost $25 USD? Cost: 280 E£ per person with Boomerang and Bob Marley Peace Hotel. Nile River cruises are a popular choice among tourists. Most cruises are three or four days. They originate in Luxor and sail south to Aswan with stops along the way. Common sites on these tours are Esna, Edfu, and Kom Ombo. Tours are very expensive when booking ahead. It is possible for discounted rates when booking a cruise in Luxor. Boomerang and Bob Marley Hotel is a great place to stay in Luxor. Located on the East Bank, they are very helpful in arranging tours in the area and have great prices. Private rooms with ensuite are 150 E£, AC rooms with shared bath are 120 E£, and rooms with fan only and shared bath are 90 E£. 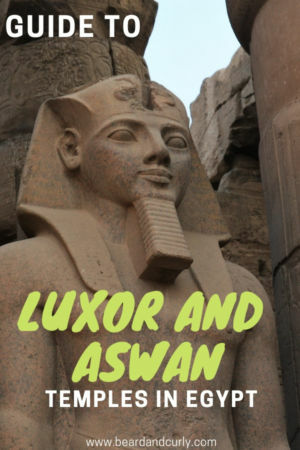 Aswan is not as visited and does not contain as many sites as Luxor. However, this charming city has impressive temples nearby, great food, and one of the best souq’s in Egypt. 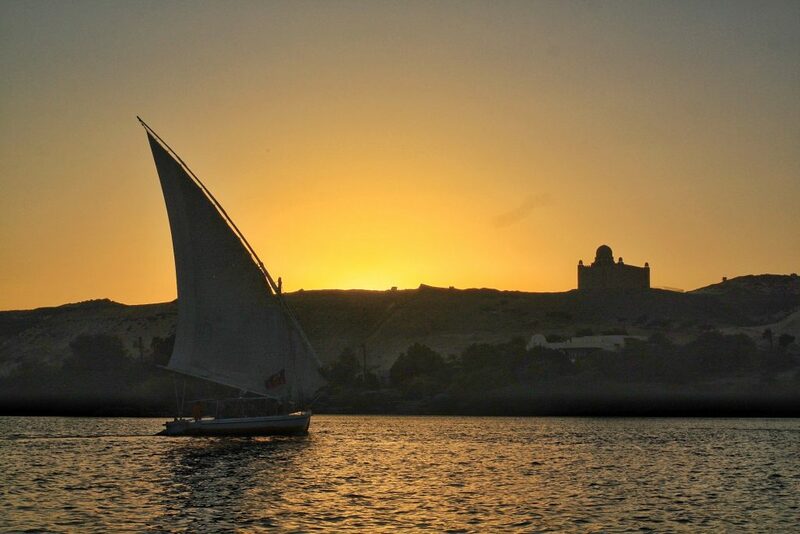 While you can catch a felucca ride anywhere along the Nile, the sunset felucca ride in Aswan is the best. Boat owners ask for their services on the corniche and start at very high prices. Negotiate a price for the entire boat. Leave around 4 pm for a beautiful sunset. This Nubian temple not far from the Sudanese border is visited by a tour with a convoy. It is a 3-hour drive from Aswan. Tours start at 3:30 AM and finish at around 1 PM. Spend two hours walking around one of the most impressive temples in Egypt. Cost: Tour cost for the private group transportation is 100 E£ per person. Entry ticket to the temple is 115 E£ and 63.5 E£ for students. Book with Boomerang and Bob Marley Peace Hotel in Luxor for the best prices. Kom Ombo is tucked along the Nile in a small and depressing town. There is no reason to stop here unless visiting this temple. Kom Ombo is along the cruise route and often boats arrive at 3 PM. 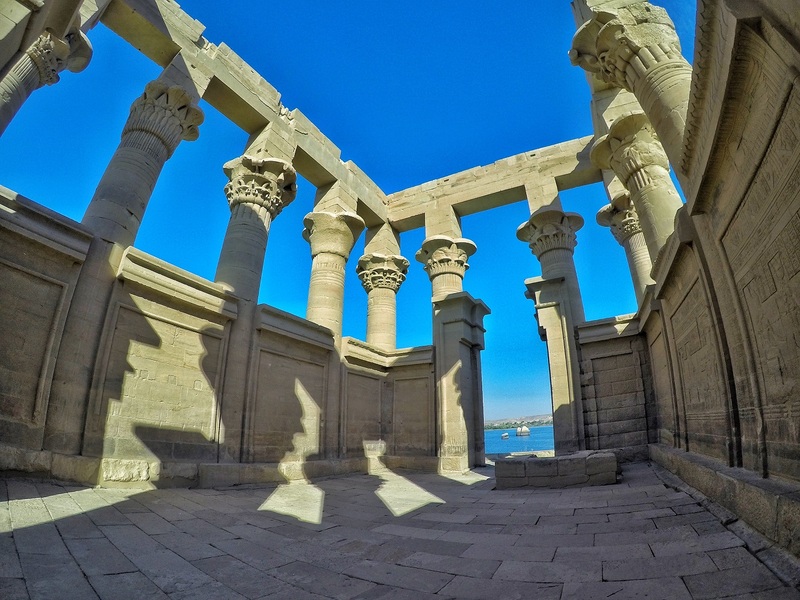 Take the train or hire a car from Aswan and visit this temple around noon. When we visited the temple, we were the only ones there. Cost: The local train from Aswan to Kom Ombo is 30 minutes and costs 3.5 E£. A rickshaw to the temple from the train station is 20 E£ for the round trip ride with an hour wait. Entry ticket costs 50 E£ and 25 E£ for students. 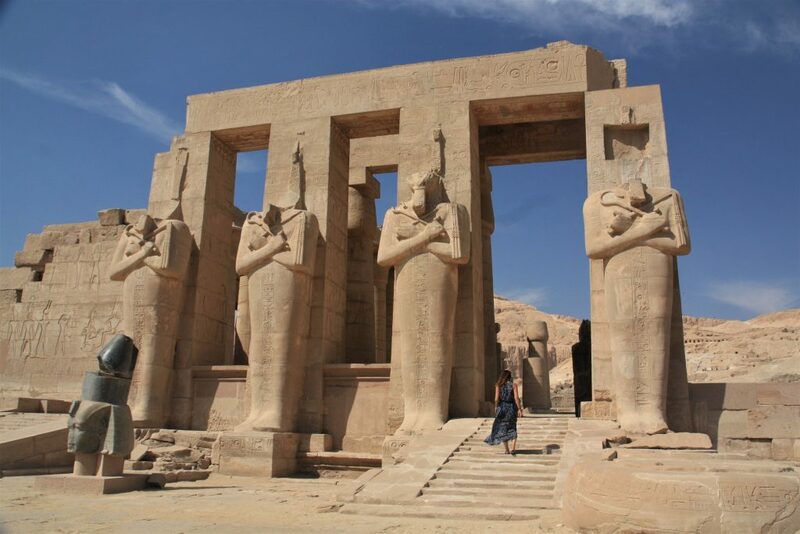 Located 8km from Aswan, Philea Temple is a little difficult to get to. Situated on an island it is accessible only by ferry. To get to the ferry, taxi drivers may claim the temple is 25km away and often overcharge. The ferry is priced per boat, not per person. Cost: Taxi to the ferry should cost 40 – 50 E£. Entry ticket is 60 E£ and 30 E£ for students. The ferry price is 84 E£ for the boat (1-8 people), so the more people on the boat, the cheaper the cost. They may try to charge more than 84 E£, but that is the stated price at admission and don’t accept higher. The souq is located just one block from the train station in the center of Aswan. This an excellent market and is very pleasant to walk through. It is not extremely busy and cars are not allowed to drive on the road. There are many vendors selling souvenirs, restaurants, cafes, sheesha bars and juice bars. Like This Post? Pin It!! !